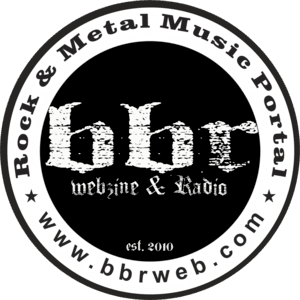 LeatherJacks on bbr. 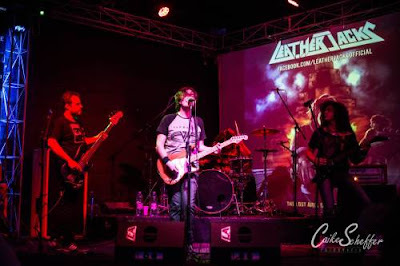 The Brazilian Modern /Melodic Hard Rock band LeatherJacks released its self-titled debut full-length album a few months ago and bbr took the opportunity to talk with the band's singer/founder Mauro Cordeiro. Enjoy the interview below. The Brazilian Modern /Melodic Hard Rock band LeatherJacks released its self-titled debut full-length album a few months ago and bbr took the opportunity to talk with the band's singer/founder Mauro Cordeiro. Enjoy the interview below. Would you like to give us a brief history of LeatherJacks? It all began with a dream of mine. Since I started singing and playing guitar, when I was 10, I was always writing stuff, writing songs, and I always loved it. Had a lot of cover bands, original bands, but I felt like I was never fitting on them. 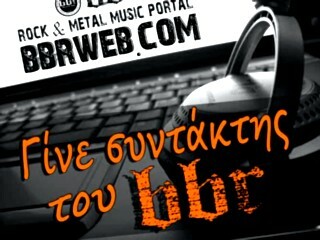 I tried to play Ska, Pop, Reggae, etc… But it never worked, because it´s Metal and Rock that runs through my veins. In 2015 I wrote “Burning Wire”. So my life changed. Tell us about the name LeatherJacks. How did you come up with it? I was thinking about lots of rock and roll stuff, slangs and things that could define what I was trying to tell people, you know? The name came when I was wearing my brown leather jacket. I thought: “wow… I use it everyday, everytime… So I could make a band called Leather Jackets… It sounded cool, but I decided to enshort and group it all into LeatherJacks and here is it! 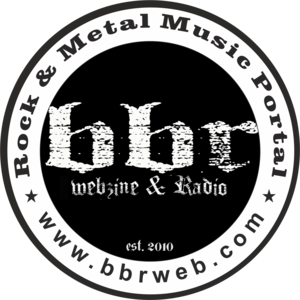 I would say it´s a genre called Modern Hard Rock. ´Cause it sounds like 80´s glam / metal bands, but still sounds like a heavy biffy sound, like modern metal bands. 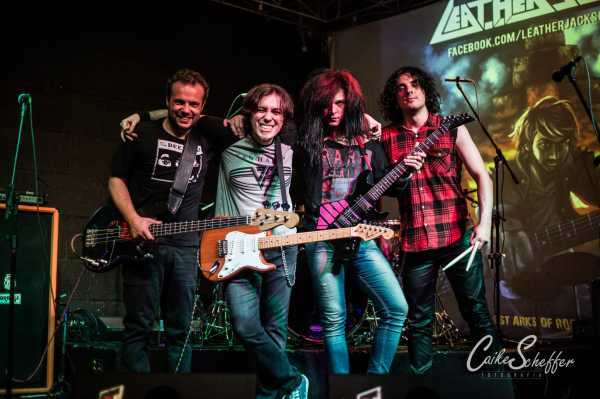 We float between bands as Whitesnake, Dio, Maiden, Gotthard, Bon Jovi, etc… But we also spice it with bands as Halestorm, Airbourne, Slipknot, and stuff… So it´s a fusion that travels time, and delivers a total original and modern Hard / Heavy Rock and Metal sound! Your debut full-length album entitled “The Lost Arks Of Rock And Roll” is out now. Tell us more about this release. Yeah! The release was at April 18th, and it´s going very well! It´s growing little by little, step by step at media, mainly on internet. We´re also planning to press some physical copies. It´s the first and fresh album, I did it all by myself during one year, since February 2016, I wrote, arranged, produced, mixed and mastered all voices and instruments, at my little home studio. At that time I still didn´t have a band, so I decided I should make it all by myself. And that´s how “The Lost Arks Of Rock And Roll” was born: with lots of guts and nuts to make a great Rock And Roll album! I try to write things in a different way. Most of times I have all the harmonies ready, then I try to feel the music flow inside of my head. All of a sudden, as I keep on feeling the song, it´s dynamics and stuff, it´s like “BAM!” the lyrics starts coming, little by little, as a fountain. Sometimes I write in 5 minutes, sometimes it takes 10 days… It depends on how I keep feeling the music and imagine what it wants to tell me in therms of poetry. Are you satisfied with the result of this album? Absolutely! I´m extremely proud of this album, it´s like a masterpiece, it´s like I was part of Rock And Roll remainers, the survivors, rescuing what´s good and what´s amazing. So I´m extremely happy I can say: “Wow… I did a Rock And Roll Album all by myself!” And I´m even happier to say that I am part of this army! It´s always amazing, it´s always so inspiring and positive. We always get emotional when someone tells us that loved this or that song, when they follow us, when they want to go at our gigs… I mean.. their response is amazing! Everyone who listen to LeatherJacks, become a loyal fan. It´s simply amazing and perfect! I love the opening song “People”. ´Cause it´s made of a “punchy in our face riff”, but it also delivers one of my best lyrics up to now. It´s totally about society hypocrisy and it´s ridiculous day by day demands and stuff. But at the chorus I picture a new solution for us, and I tell that we can save ourselves from it, ´cause we´re chosen ones. So that´s a very emotional song to me. Many things there are almost “auto biographic”. 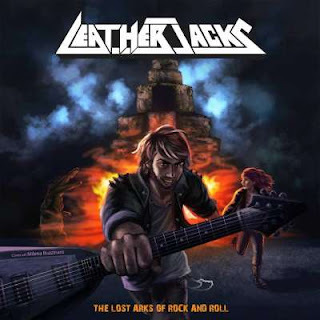 LeatherJacks!! Haha Kidding! Lately i´ve been listening A LOT to Rainbow´s Rising and Long Live Rock And Roll. Man… Dio was / is the best in my opinion. I always feel chills when I listen to songs such as Stargazer. Anyway… I´m listening a lot to Rainbow! We´re searching for investors and managers. We need people who believe in our full potential, and people who believe we can make a musical revolution into true Rock And Roll music. 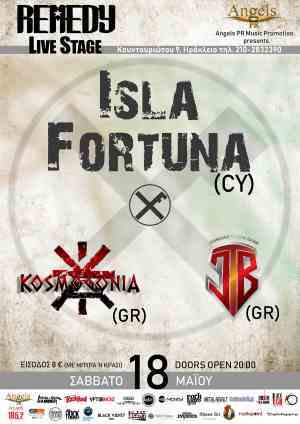 We´re trying to deal a tour. Either a South America Tour or even a World Tour. But just like I said… We need investors to believe on us! We´re trying to, and we´ll never give up! Are you composing new songs at the moment? Yeah! We already have a new single called “I Hate To Fall In Love” but we will release it in 2018. We don´t have the plans for now, but the song´s 90% ready. But no release date for now, ´cause we´re really promoting the First Album. We also wanna tell you: We´re coming! Let´s Rock with LeatherJacks!